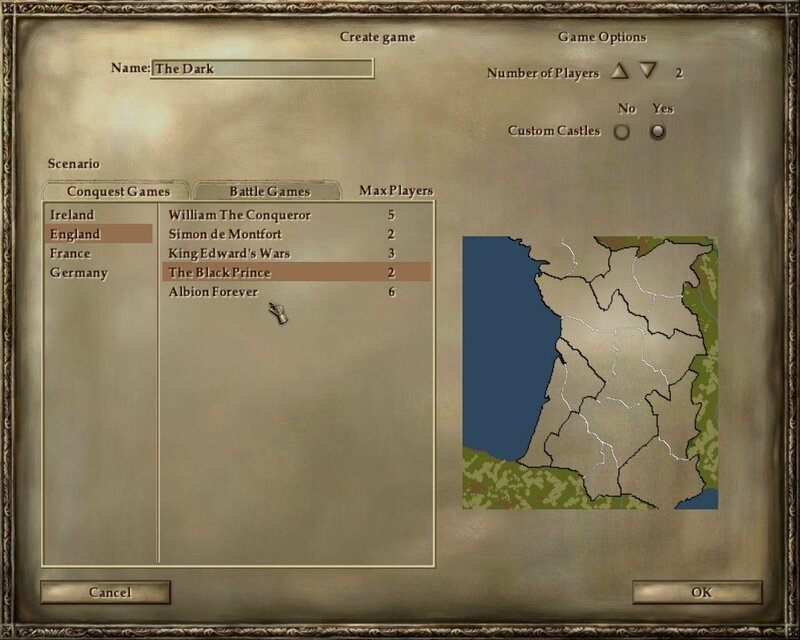 Although Lords of the Realm III might invite comparison to the Total War series of games, perhaps it’s worth noting who was there first. 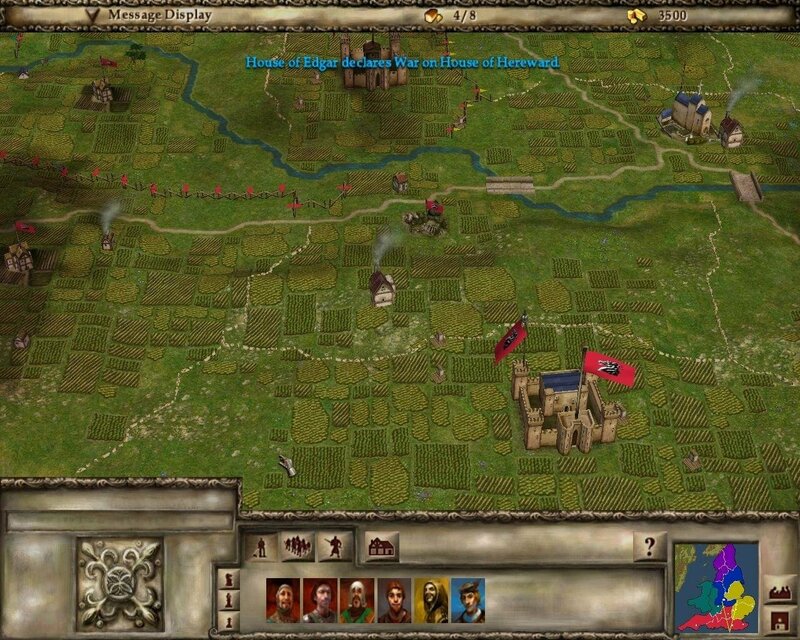 When the original Shogun was but a twinkle in developer Creative Assembly’s eye, Lords of the Realm was already doing the hybrid of turn-based strategy and real time battles. 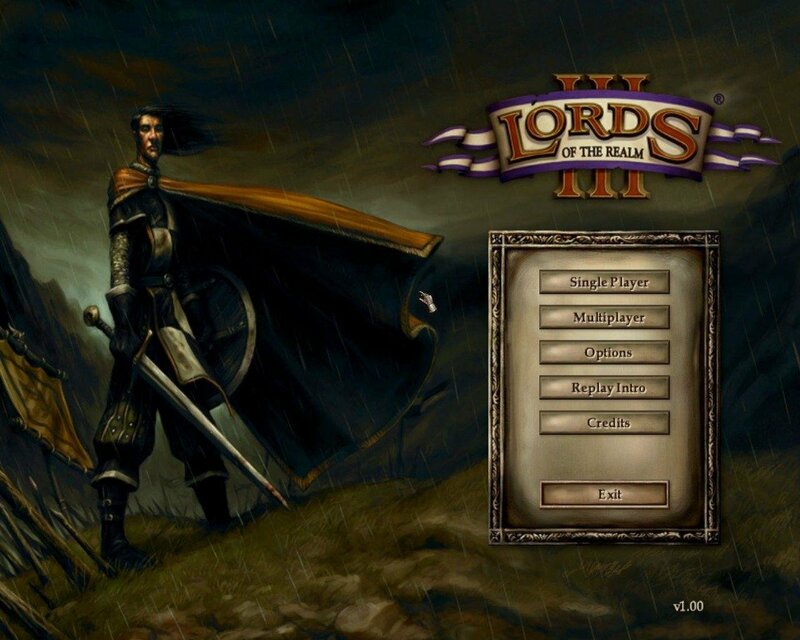 But it’s also worth noting that Lords of the Realm III took a much more simplified approach that made it, in the end, less appealing and less innovative than the Total War series. 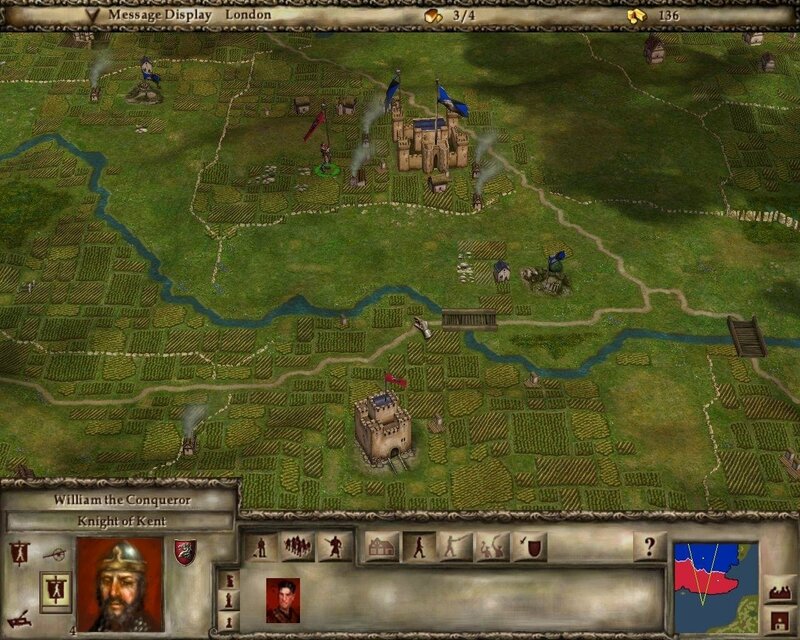 Developer Impressions has thrown out the turn-based strategy in favor of real-time, even at the strategic level. 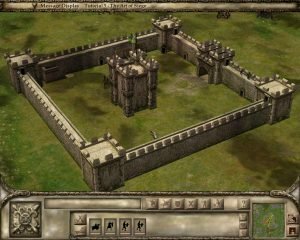 This means the entire game runs at one speed on all levels, whether you’re waiting for a castle to be built or charging archers with your cavalry. If you fight multiple battles simultaneously, you’ll have to either pick which one to manage, or hop back and forth between them. It’s an odd approach that presents some tough choices. The province system has been dumbed down considerably. A province is now composed of several smaller pieces. Whoever controls the central piece controls the whole province, but enemy troops can attack the individual pieces and weaken your province. The only thing you have to worry about in province management is what kind of a leader you want to assign to each piece of the province. 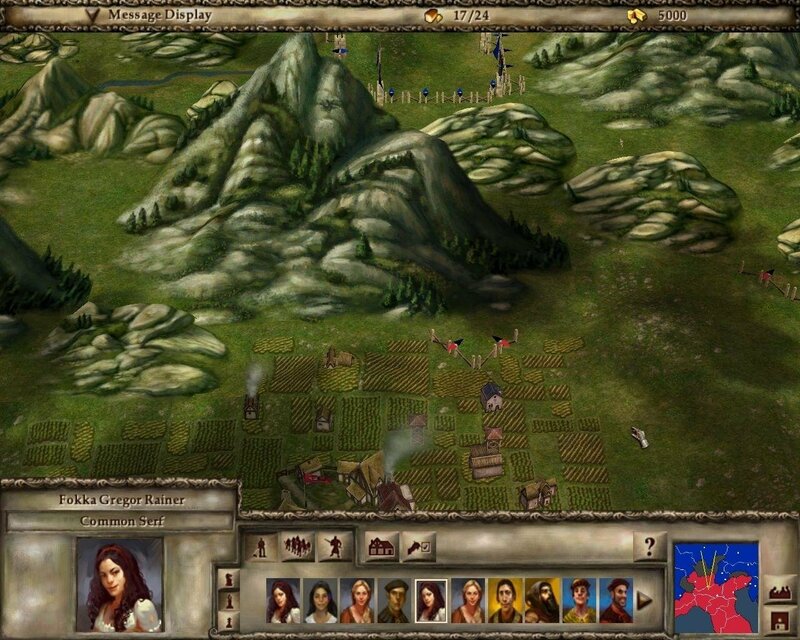 Gone are the traveling merchants, the resources, the peasants, replaced by vassals. They manage all aspect of provinces, and the only control you have is to decide who gets to have all the control. 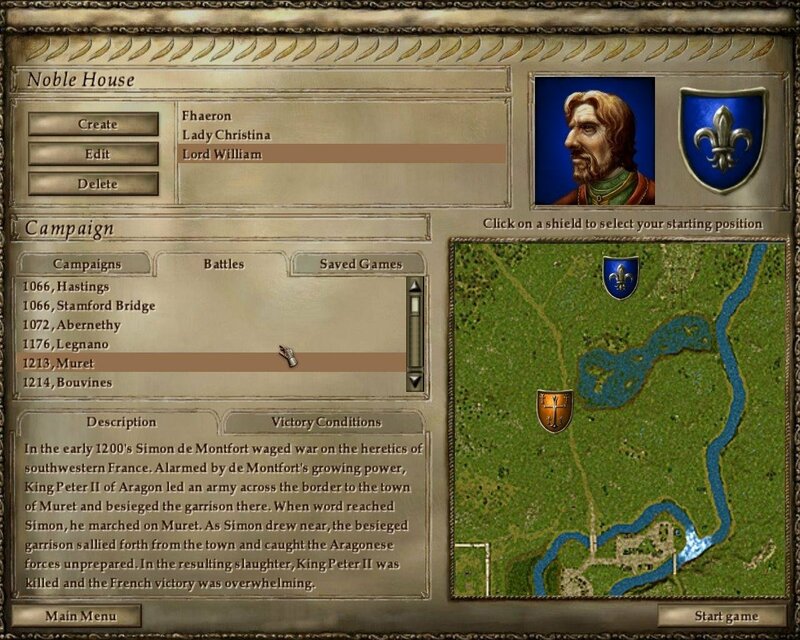 You can hire nobles from different classes, from Poor, Average, Knight and Royal. 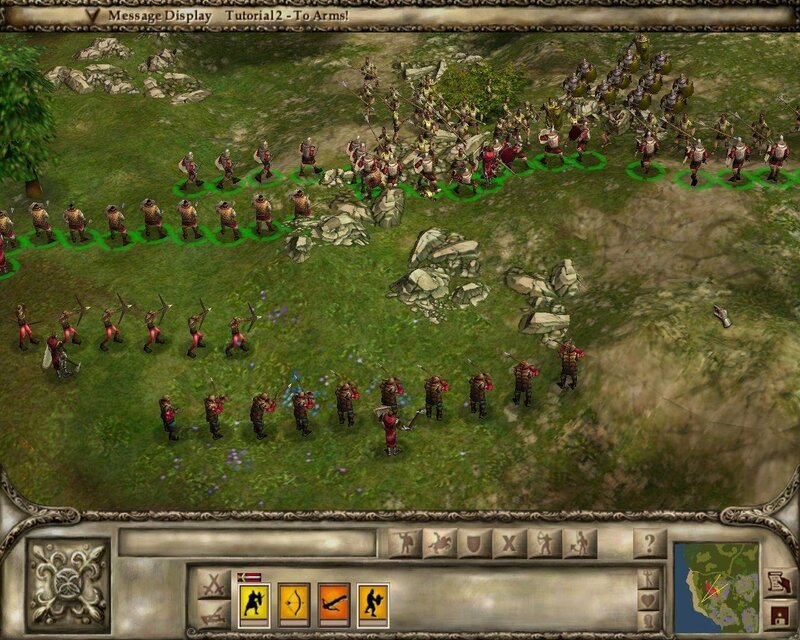 The increase in rank is reflected in better abilities and sometimes better troops to command. The four types of henchmen are commoners, who when put into a piece of land will make crops that allows you to field more armies; burghers, who create wealth; priests, who increase your Christianity rating, and knights who fortify your holding and also raises troops. 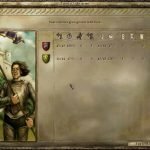 These vassals also have their own unique traits that add different flaws and advantages. 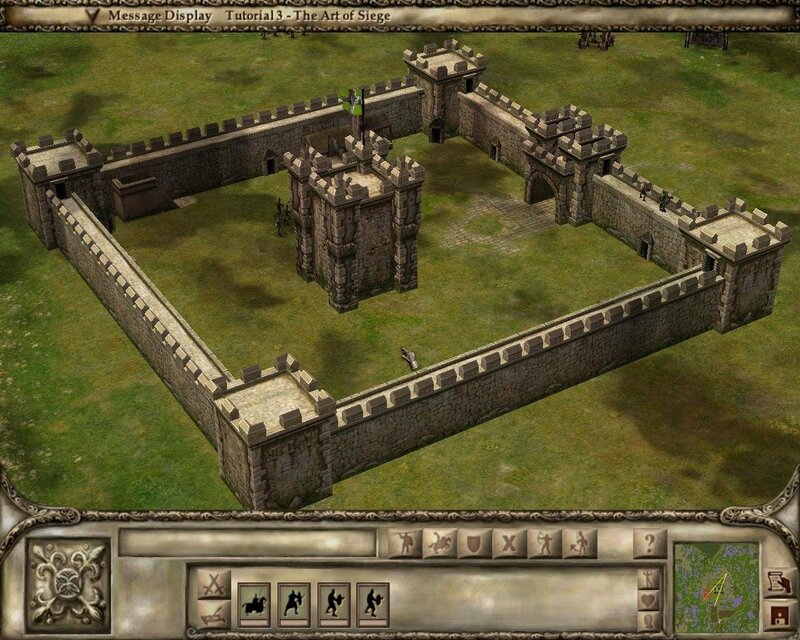 Some might improve income, some give combat bonuses, some make castles cheaper, and so forth. 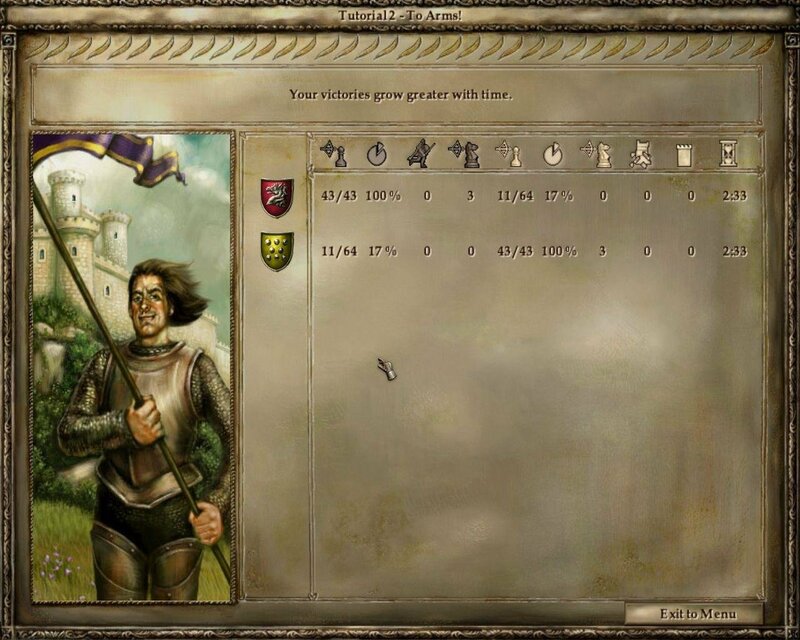 The particular vassals available to you are determined by your ratings in chivalry, honor, and Christianity, which are determined by your actions. For instance, building churches will raise your Christianity, while executing captured knights will lower your honor. 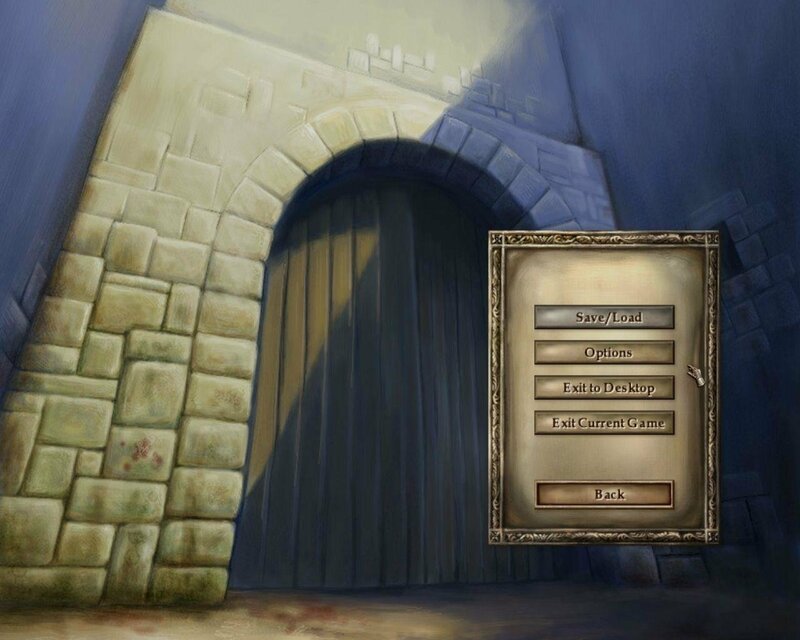 Castles can be upgraded and customized, although you can only use custom castles you’ve built in the castle editor, which is separate from actually playing the game; the real-time pace doesn’t lend itself to fitting walls together at the right angles and deciding where doors and banners should go. 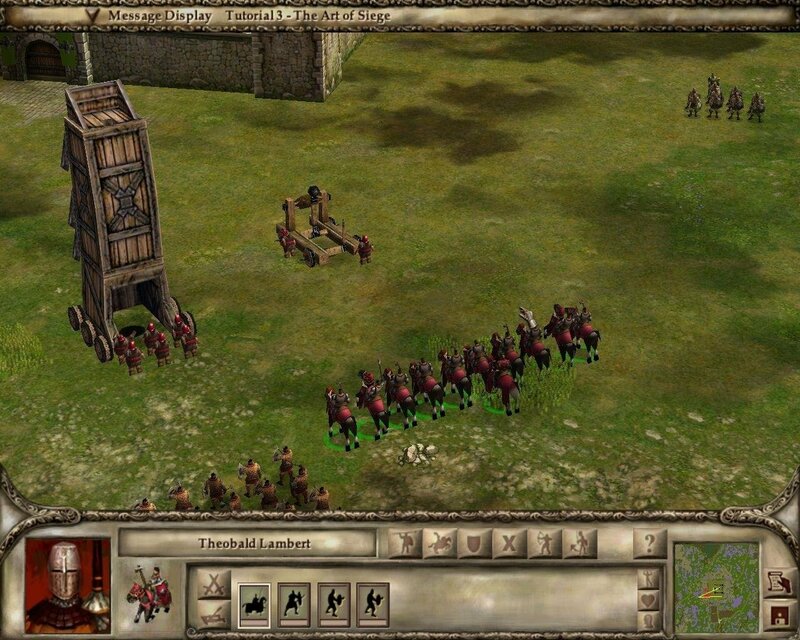 During sieges, certain knights will automatically bring along siege engines like catapults, ladder towers, and ballistae. 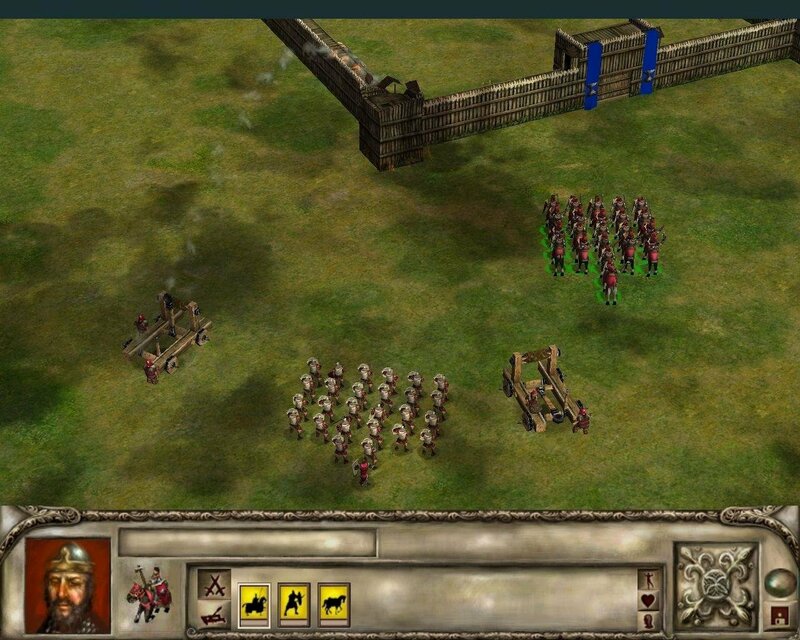 Infantry will be able to try to scale walls and fill moats. Each company is a single unit represented by a cluster of about twenty 3D models. 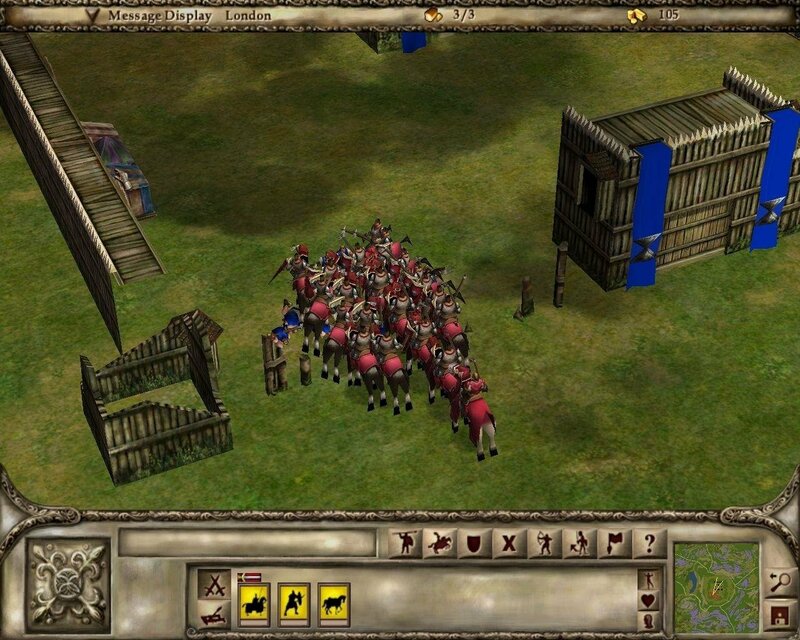 A company can be given its own formation and movement orders. 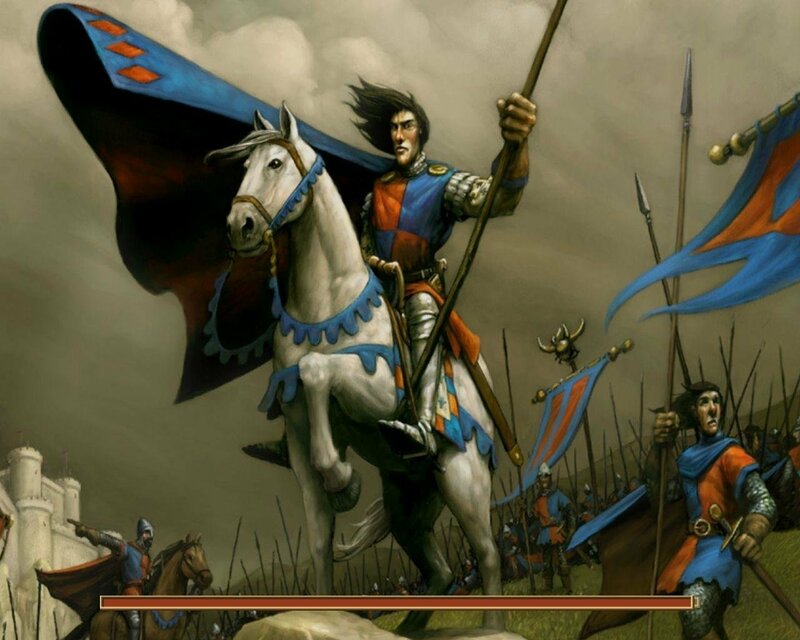 The knight in charge can either be put in back for a morale bonus or put at risk in the front lines for a combat bonus. 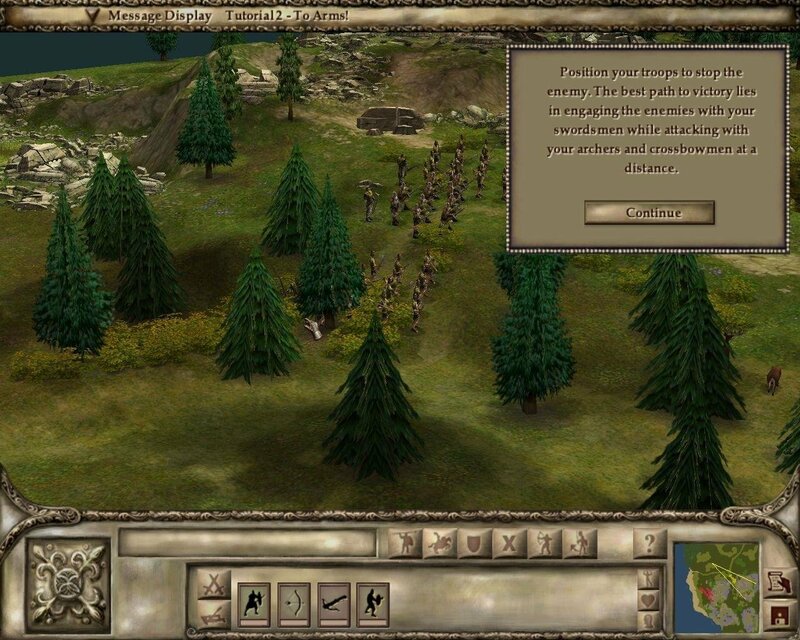 A row of banners along the bottom of the screen shows each company’s health, morale, and combat status. 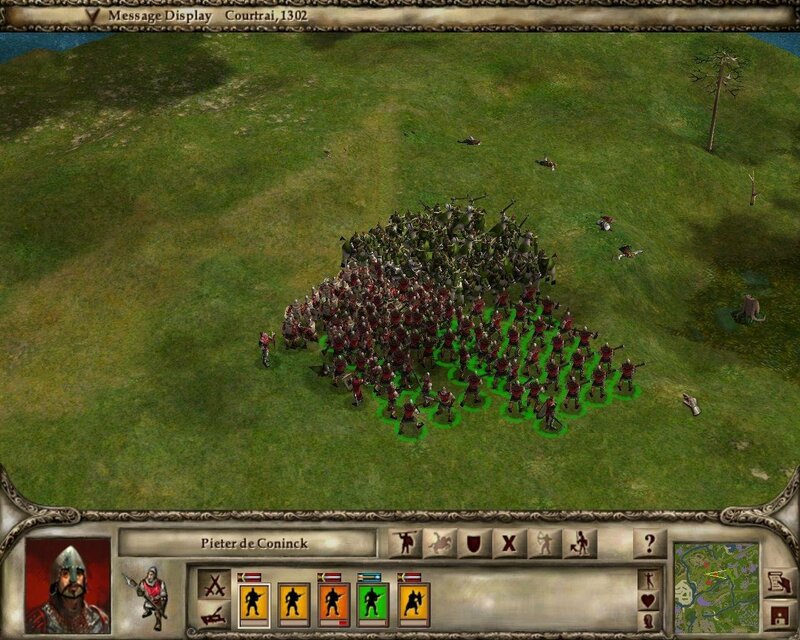 There aren’t any formations for multiple companies, so you can’t drag-select your units and arrange them into massive formations as in Total War, but you can fix their position relative to each other. Your army is composed of one or several knights. 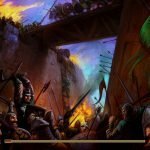 They are the elite units that lead a squad of up to 20 men. 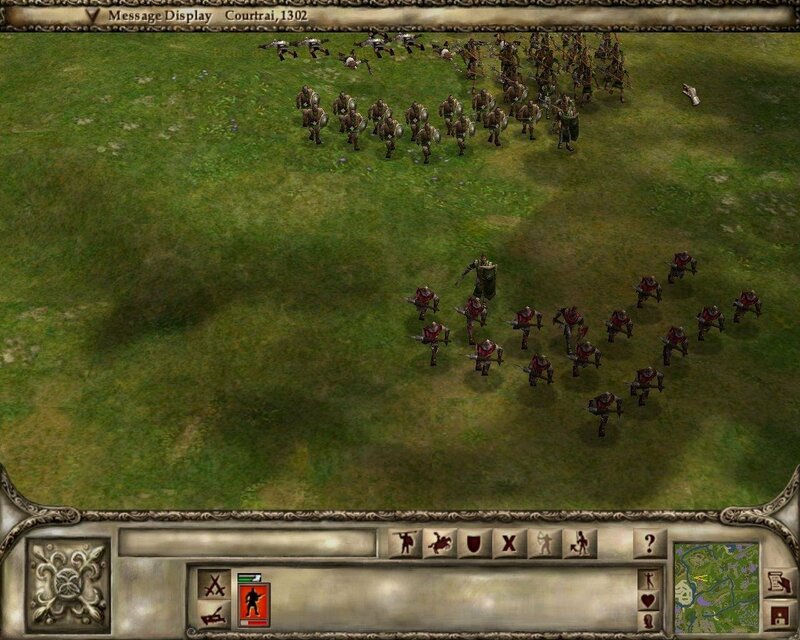 Each knight is able to command a different type of troop, but the higher his rank, the better troops he gets. Warfare is now squad-based and instead of commanding individual units, you command the knight that leads each squad. 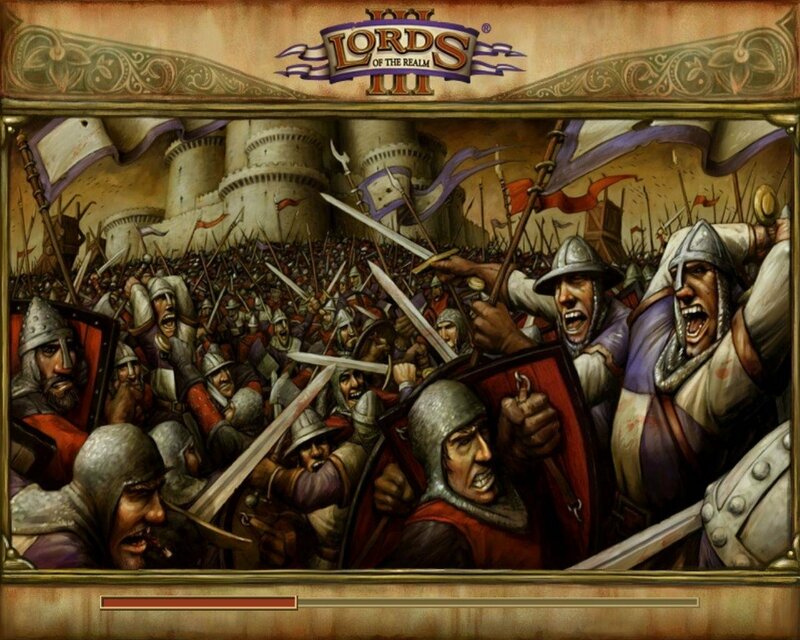 Lord of the Realm 3 also features more troop types than its predecessor. Furthermore, each troop type has their own attributes and some even have special abilities, such as charging or flame arrows. Although there’s a lot of stuff to do and consider, the game’s main faults (its reliance on automation and the real-time pacing) make it less involved of an experience than a Total War game. For one thing, it’s a mangament game wrapped in another management game. 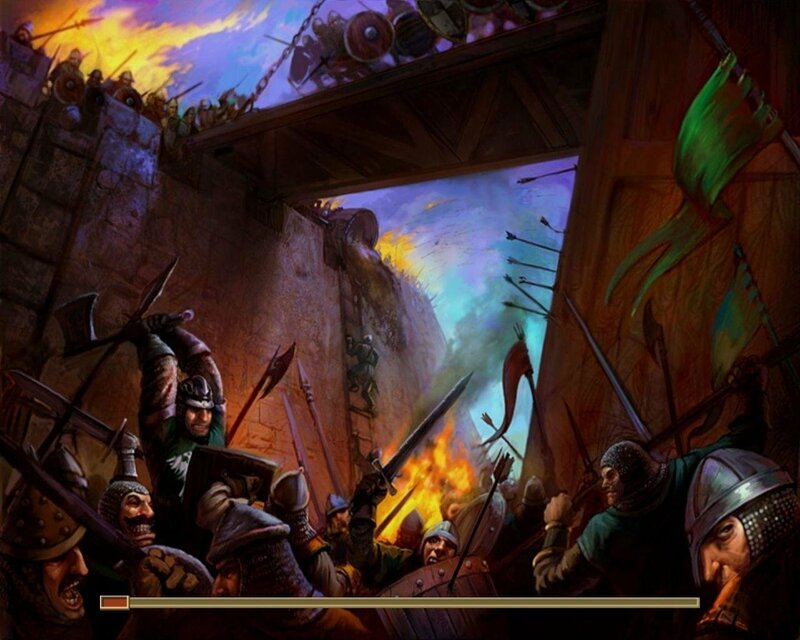 You send out vassals to run your kingdom, watch number sheets, and adjust accordingly. Your input is fairly limited. Sometimes you enter a battle, where you order around clusters of men and watch as they blend in a sea of colorful pixels. It works fine, I guess, but nowhere do you find the awe or complexity, as represented by the sound, graphics or gameplay, found in Rome, Shogun, or Medieval.